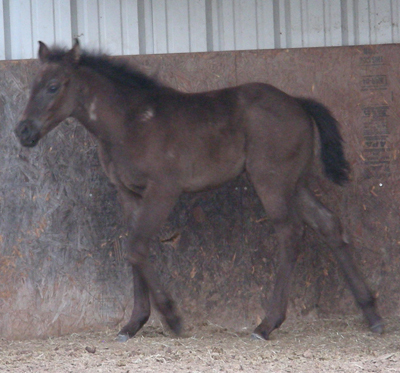 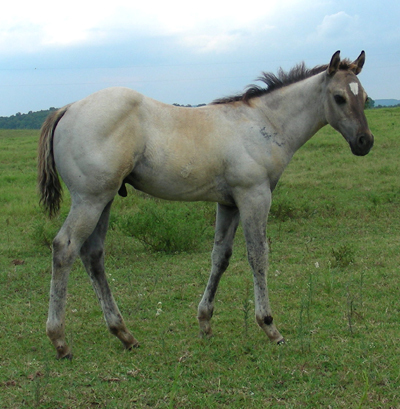 Can NEVER sire a red legged foal. 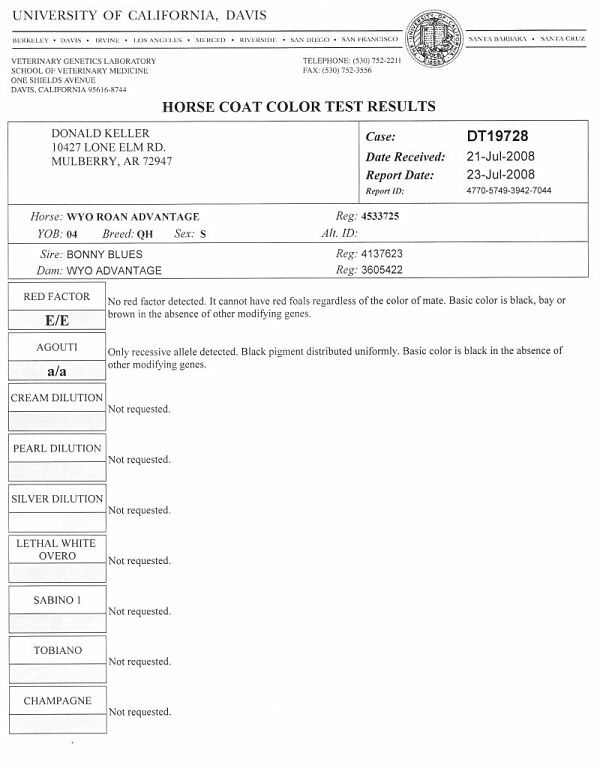 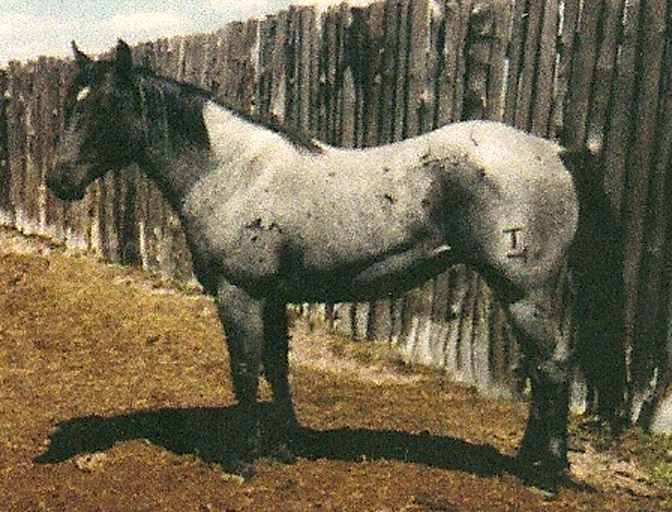 This young stallion is 39.06% Blue Valentine and 16.21% Joe Hancock. 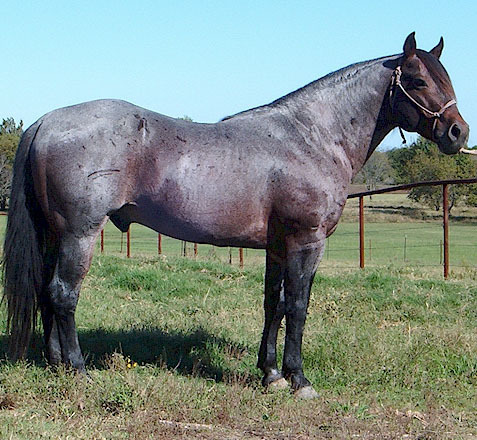 This is a well rounded, good minded saddle horse. 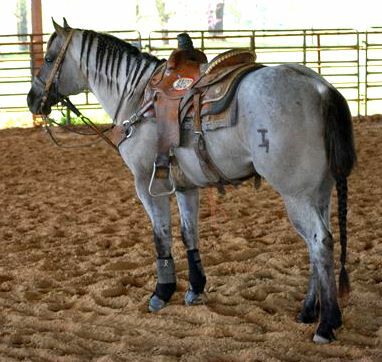 If you can't meet him in person, click here for a slideshow to see him work under saddle. 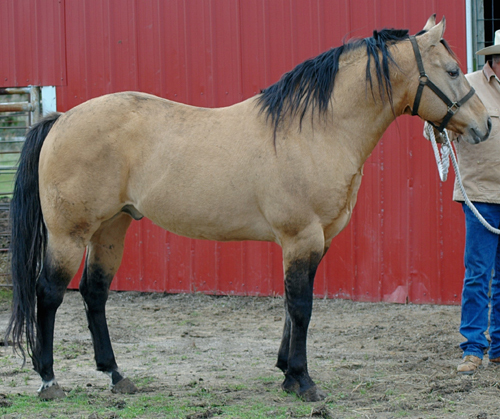 Besides being a finished ranch and roping horse, he is also an AQHA point earner. 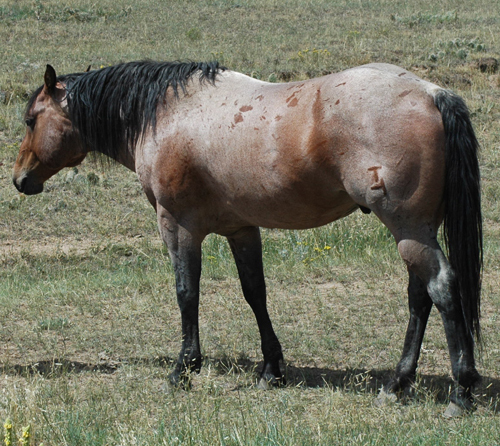 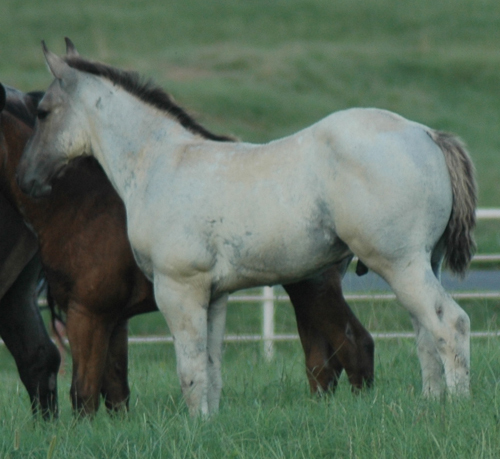 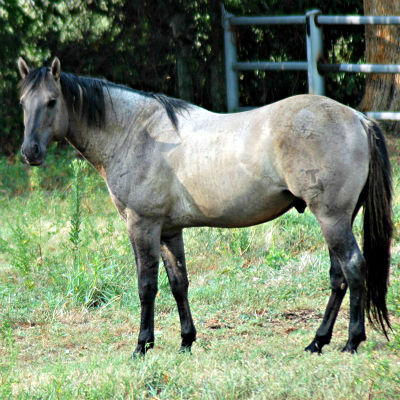 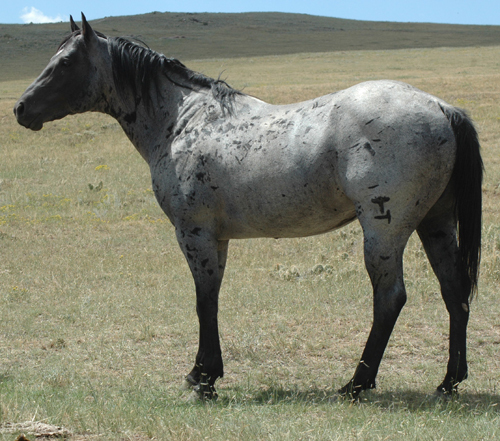 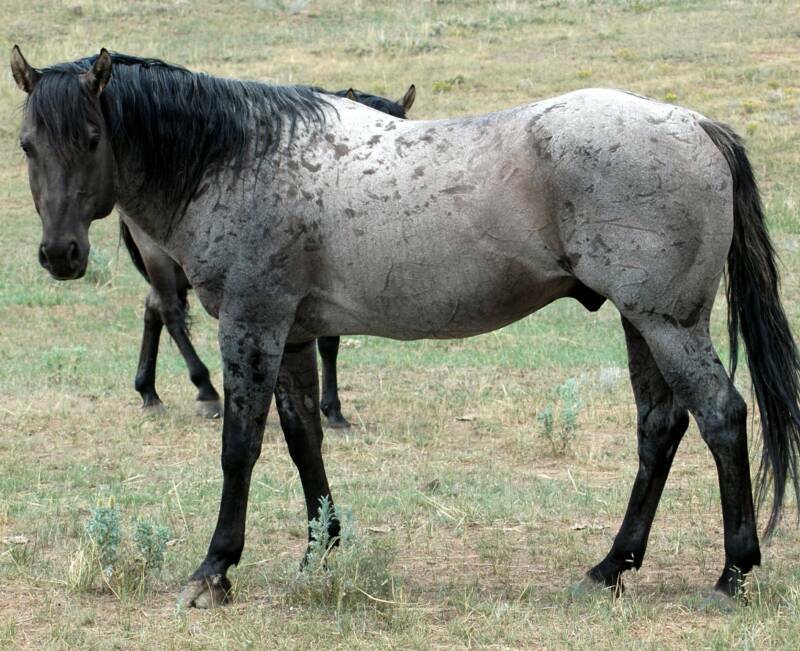 Coyote Ridge stands two grullo roan, Joe Hancock, linebred Blue Valentine stallions. 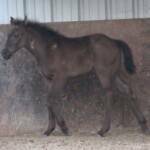 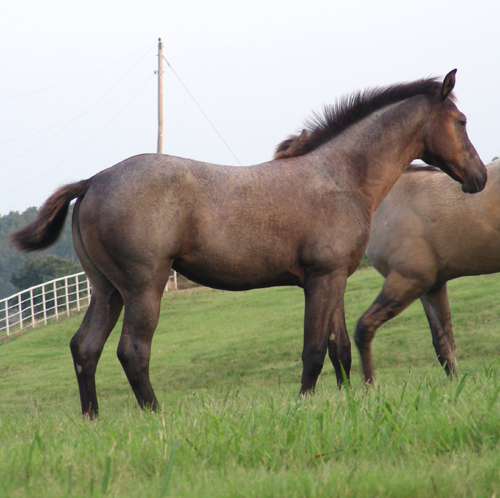 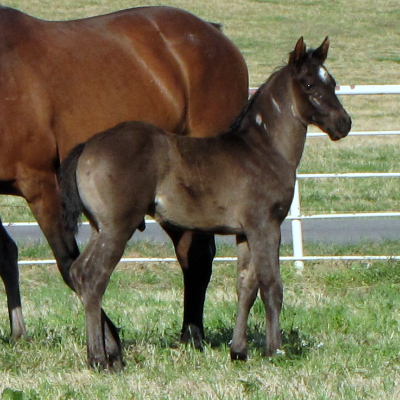 We offer a select group of foals for sale each year sired by these stallions.. We encourage prospective buyers to visit these stallions in person to appreciate their pleasant dispositions, sound structure and athletic ability. 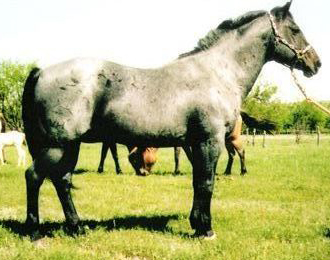 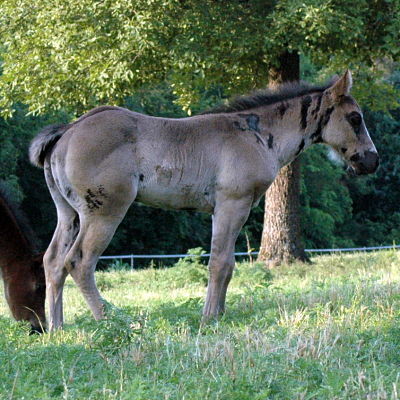 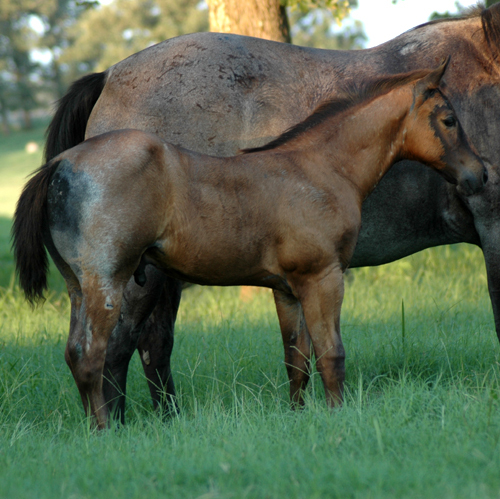 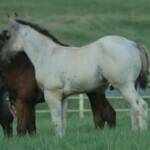 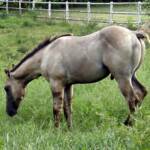 Breeding to outside mares by private treaty. 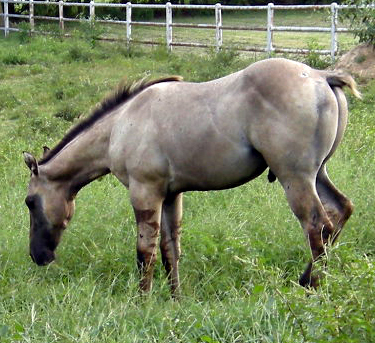 CLICK ON A PHOTO FOR A LARGER VIEW OR MOUSE OVER FOR A SECOND PHOTO. 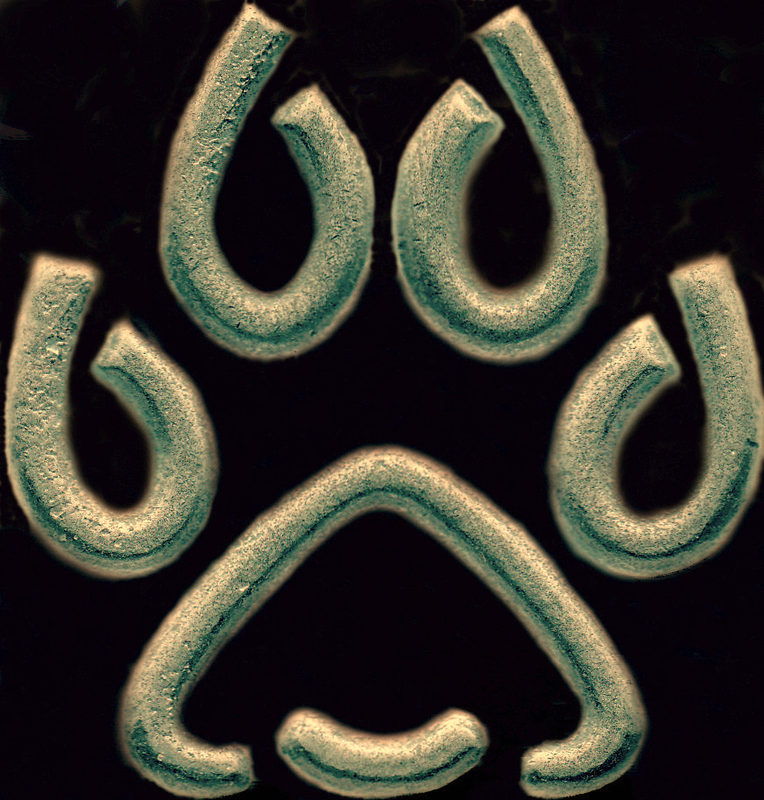 This website is currently unavailable due to system or data upgrades.